Pharmacopoea Harlemensis senatus auctoritate munita. Haarlem, Wilhelmus van Kessel; Amsterdam, Jan ten Hoorn, 1693. 12mo. With engraved frontispiece by Romeyn de Hooghe. 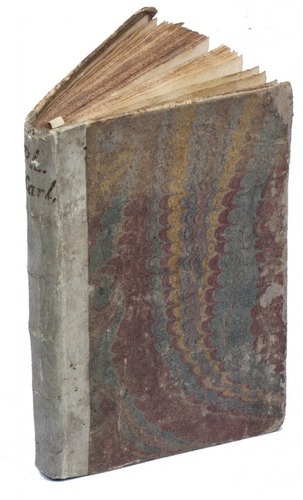 Contemporary half vellum. 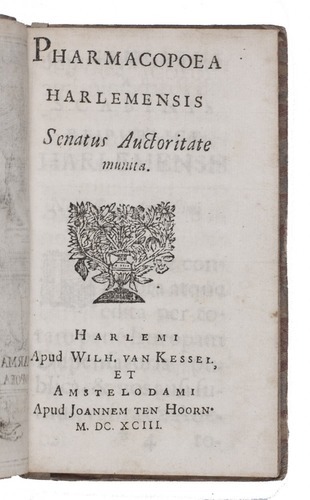 Very rare first edition of the Haarlem pharmacopoeia in the original Latin, with an engraved frontispiece by Romeyn de Hooghe, one of the greatest artists to come out of the late Dutch Golden Age. 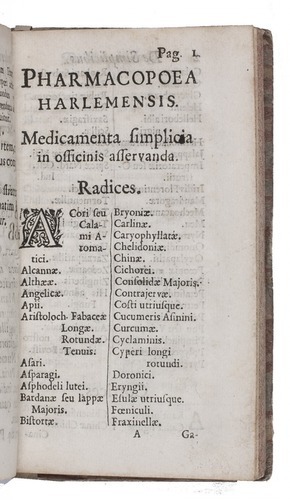 In 1692 the city of Haarlem established its Collegium Medico-Pharmaceuticum, which set up a committee of doctors and apothecaries to compile the 1693 pharmacopoeia. The Dutch translation, made against the will of the authorities, appeared in the same year and went through several editions. No further Latin edition appeared until a new committee of doctors and apothecaries was charged with the compilation of a new and extensively revised edition in 1740, which appeared in 1741. Lacking leaf E9 and some foxing on the first and last few leaves, otherwise in good condition, with a few bolts unopened. Daems & Vanderwiele, p. 138; STCN (2 copies); WorldCat (3 copies, incl. 1 the same).